New Official Trailer Arrives For GODZILLA: KING OF THE MONSTERS! Fans of 2014’s GODZILLA are eager for more as the official sequel to that film titled GODZILLA: KING OF THE MONSTERS will be coming in the future. The new official trailer has arrived and can be viewed down below. 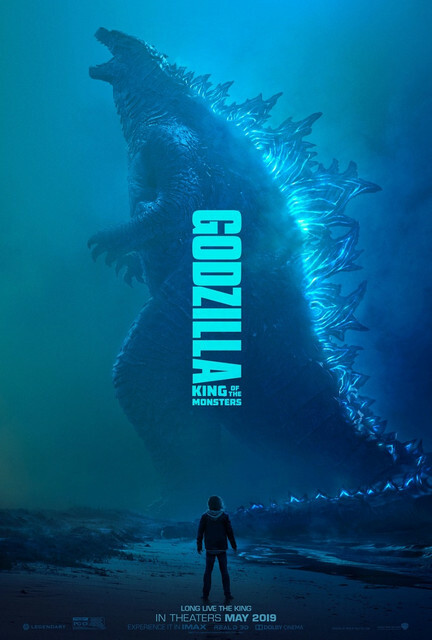 GODZILLA: KING OF THE MONSTERS stars Vera Farmiga, Ken Watanabe, Sally Hawkins, Kyle Chandler, Millie Bobby Brown, Bradley Whitford, Thomas Middleditch, Charles Dance, O’Shea Jackson Jr.,Aisha Hinds. GODZILLA: KING OF THE MONSTERS comes to theaters on May 31st, 2019.